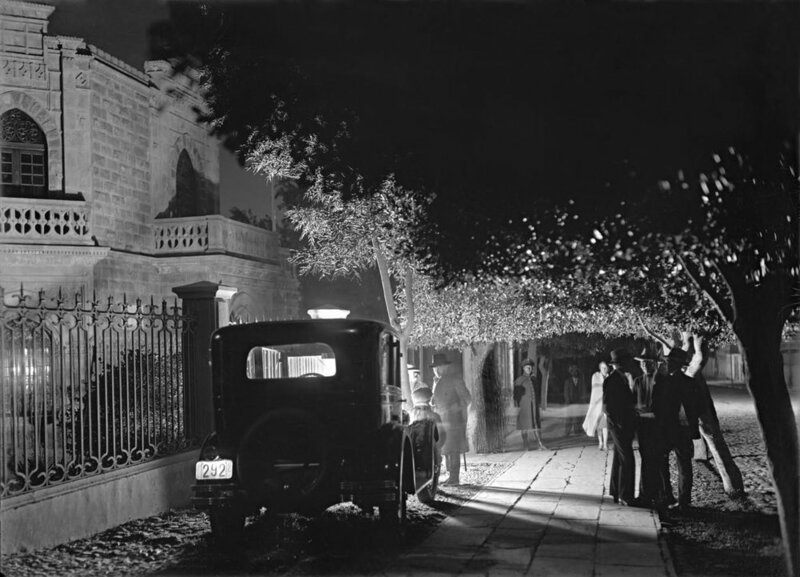 Back in October, I wrote about Harold Burdekin and John Morrison, two English photographers who published a beautiful book of night photographs of London in 1933 after seeing the Parisian night work of Brassai. By studying the innovations and inspirations of the night photographers of yesterday, we can better understand the roots of our art form, to learn and to progress in our own work. This article is the second in a series on underappreciated photographers who have made a significant contribution to the genre. Perhaps no one better fits the bill than Carlos and Miguel Vargas of Arequipa, Peru. The Vargas brothers opened their studio in 1912, after apprenticing for Max T. Vargas, an unrelated photographer who ran the busiest photo studio in Arequipa at the turn of the century. The Estudio de Arte Vargas Hermanos was almost immediately successful. The 1910s and ’20s were a vibrant time in Arequipa. The flamboyant brothers were at the epicenter of a fashionable society created by the newfound wealth and exposure to European styles brought to the southern Andes. Artists, poets, writers and musicians passed through the brothers’' studio, which became a center for art and culture in the city. Their night photography adventures evolved into highbrow social events for their bohemian entourage. The core of their business was portraits of the city’s elite, but their photographic legacy is much broader–– a remarkable photographic record of the last years of an elegant and formal society that would soon be lost to the restless hum of modernity and the cold economic reality of the Great Depression. Their work is a testament to Peruvian society in the first half of the 20th century, but their contribution to night photography cannot be understated. The nocturnes of the Vargas brothers mark several firsts in the history of night photography. First, the careful staging and choreography of their images had not been seen in nocturnal imagery before. Many of their night works included significant numbers of people, each one carefully placed and instructed to remain still for exposures that lasted up to an hour. The brothers were inspired by silent films, and acted like directors on a film set to produce narrative images that were reflective of their imaginations as much as of the time and place in which they were made. It’s well-known that Bill Brandt staged night photographs to try to recreate some of Brassai’s images, even going so far as to pose his own wife Eva as a stand-in for the prostitute from one of Brassai’s images. Until the discovery of the Vargas nocturnes, it was assumed that Brandt was the first to stage night photos in the early 1930s. But Carlos and Miguel had him beat by about 15 years, and did so in extraordinary fashion! In order to execute their complex photographs, the brothers needed to use added lighting. As far back as the 1860s, photographers such as Nadar in France and Charles Piazzi Smyth in Egypt had used artificial light to supplement their low-light photographs, but it was not until the work of the Vargas brothers that added light was used with aesthetic considerations. The brothers understood that light could be used to create mood and atmosphere in a way that had never been done before–– at least outside of a studio. They placed lights in various places within the scene, often employing backlighting for dramatic effect. Their cinematic vision combined long exposures taken in moonlight with strategically placed lights within the image. They used bonfires, car headlights, magnesium flashes and moonlight, in whatever combination served their needs. The combination of long exposures with flash powder was also new. Prior to the Vargas images, flash-lit photographs tended to be short exposures with the flash at or near the camera, resulting in the familiar on-camera strobe look that we are all familiar with. The brothers, however, used light flashes creatively. The Vargas brothers used their technical mastery, ingenuity and creative vision to produce a dazzling portfolio of night photographs between about 1919 and 1930. Approximately 75 5x7-inch glass plate negatives, and just a few vintage prints, survive today. Without the determined efforts of Houston-based photo historian Peter Yenne, it is likely that this remarkable body of work would have never been known. Yenne has worked for more than 20 years to discover and promote the work of early South American photographers. Beginning in 1999 he and Peruvian photographer Adelma Benavente inventoried, restored and scanned over 15,000 glass plate negatives from the archives of Estudios de Arte Hermanos Vargas that had been stored in cardboard boxes for decades. 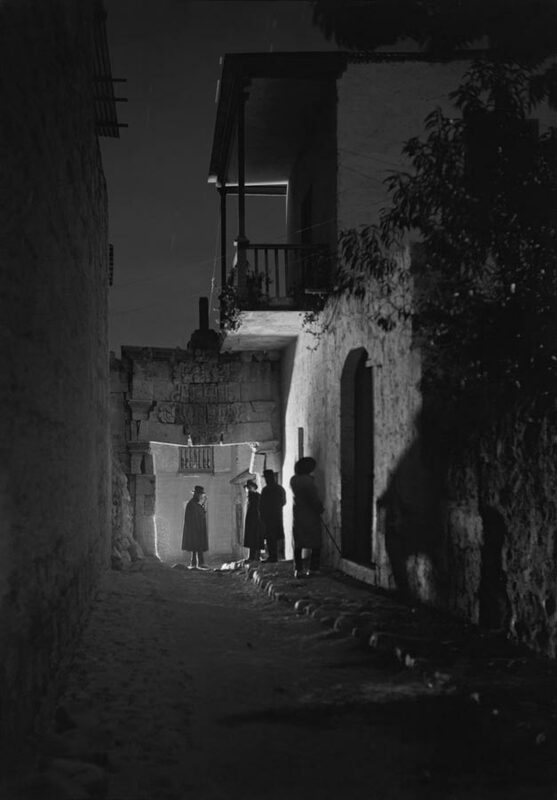 The exhibition “City of Night: The Vargas Brothers of Arequipa, Peru 1919-1930” was on view at Houston FotoFest from November 30, 2006, to January 20, 2007, and travelled to several other venues. Hopefully the brother’s photography will continue to draw interest, and they will be awarded their rightful place in the historical record. For now, I hope that you enjoy the images shown here, courtesy of Peter Yenne.